Galactic gorgonzola! This rocket-riding rodent is boldly going where no mouse has ever gone before. 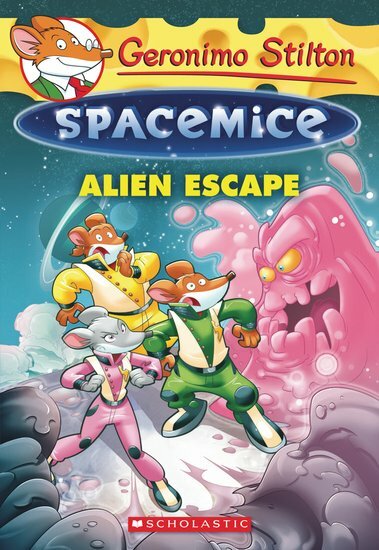 Say hello to brave spacemouse Geronimo Stiltonix – the Geronimo Stilton of a parallel universe. He is captain of the spaceship MouseStar 1, and his missions are out of this world. But now his spaceship is in danger of exploding! They need to replace the engine’s batteries by tracking down a rare element. But where can they find it? When some mysterious aliens offer to help, Geronimo is relieved. But are the aliens as friendly as they seem?